After almost 7 years in Auckland, Turo-Turo Philippine Cafe is now open at 264 Karangahape Road, Auckland CBD. The same authentic Filipino food with dine-in or take-out options. Can't decide what you want to eat and want a budget option? Try a combo meal - including two types of mains, rice, iced tea, and dessert, all for just $16.90. It's simple. We want you to come back to Turo-Turo. So grab a Loyalty Card. 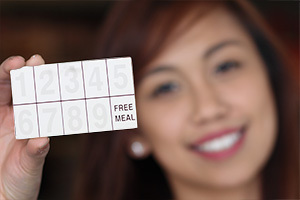 Each time you visit and spend more than $15, you'll get a stamp towards a free meal.